Let’s be honest: marketing as a musician is tough. On any given day there are a million must-do’s and hardly enough hours to get them done, right? Promoting your latest songs. Networking for new gigs. Fighting for the attention of fresh fans. But ever-so-rewarding when it all comes together. Since musicians are often so busy, you need to make the most of your time spent marketing. And if you’re laser-focused on building up your SoundCloud or Bandcamp presence, you might want to consider expanding your horizons to social platforms. Make no mistake: social media isn’t some sort of silver bullet for musicians with stars in their eyes. However, a smart social presence is undoubtedly the best way to grow your audience and fill space at your gigs. For starters, consider that your audience is likely glued to social media regardless of your genre. In fact, Instagram recently passed a billion active users while Facebook boasts two billion daily active users themselves. These numbers blow the likes of SoundCloud and Bandcamp out of the water. Oh, and did you know that YouTube is the technically the most popular music streaming service right now, beating out Spotify and Apple Music? Besides, an optimized social presence can signal your status as a professional. In an industry where competition is so cutthroat, having pristine profiles out there lets people know that you’re anything but an amateur. That said, social media for musicians is can be a bit tricky. With so many platforms to choose from and a need to stand out from the crowd, where should you focus your energy? What should you post? Heck, where should you even start? In the guide below, we’ve outlined the best practices of social media for musicians including how to set up your profiles and come up with a content calendar that totally kills it. When someone looks you up, they’re more than likely going to find your social profiles via Google or through Facebook, Instagram or Twitter. That’s why having a clean, optimized profile on each platform is a top priority. The beauty of social media for musicians is that you have tons of creative freedom beyond these three points. Let’s take a moment to look at what an optimized musician profile looks like in the wild. 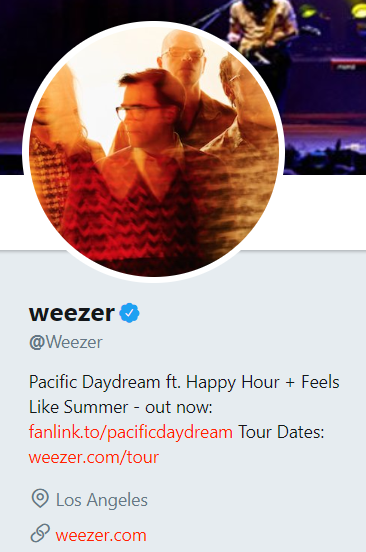 Using a stylized band photo, Weezer’s Twitter bio highlights their latest album, singles, fan store and tour dates. That’s a lot of information to pack into such a small space, but you can make it happen by being economical with your copy and choosy with your links. 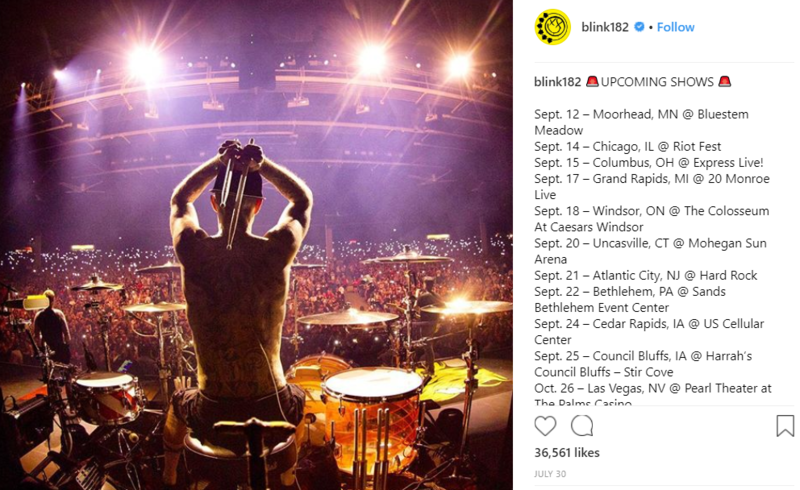 Meanwhile, blink-182’s Instagram highlights their tour dates and Las Vegas residency, in addition to social-specific hashtags they want their fans to tag themselves with. Don’t neglect valuable real estate such as your cover photos, too. 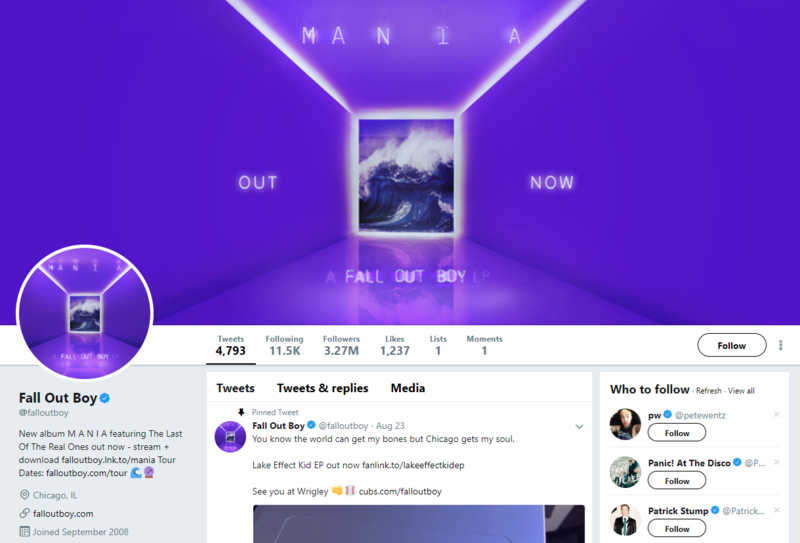 Here’s a great example of Fall Out Boy’s cover photo promo, which scores bonus points by being visually striking as well. If you want that sort of professional vibe for your profile without hiring a designer, don’t fret. 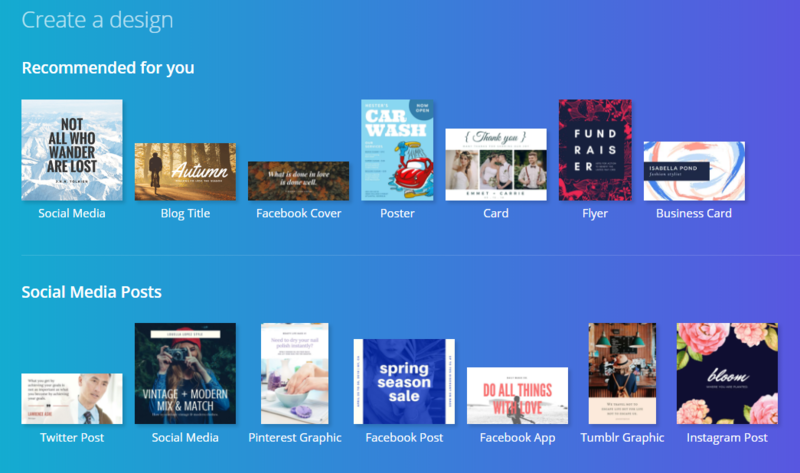 There are tons of image creation tools out there like Canva that can help you create your own banner, tour announcement and everything in-between. And although imagery certainly matters, it’s perhaps most prudent to make sure that you never let your profiles gather cobwebs. 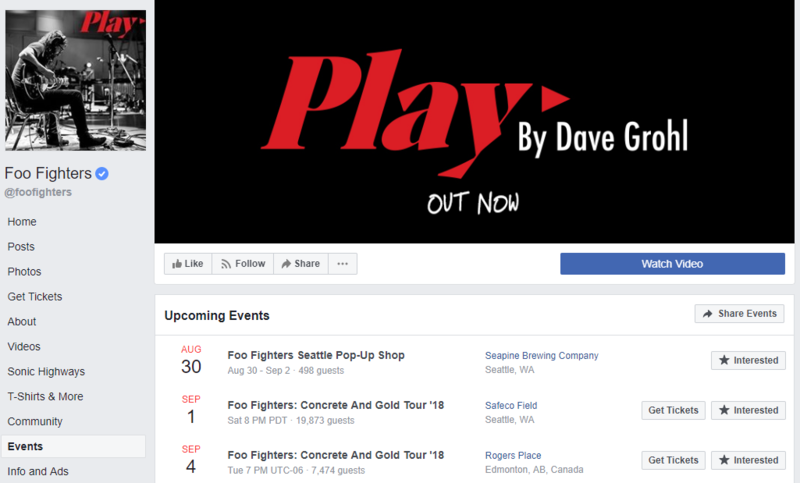 For example, you should always have Facebook events on deck for your shows if the venue you’re playing at isn’t doing the legwork of promotion themselves. Now that your profile is squared away, there’s the still the issue of content. That is, how do you keep your social feed filled with fresh stuff for your followers? You shouldn’t worry about doing too much self-promotion given that’s what social media marketing for musicians is all about. As such, there’s no need to be shy about whatever is new in your world. New song? Upcoming album? Hitting the road? Considering how fickle algorithms are and how fast social media moves in the first place, frequent hype posts are totally fair game. Additionally, it’s a smart move to put together frequent fliers and announcements which are perfect for pinned tweets or posts. That way, anyone visiting your profile can know exactly what you have going on. Oh, and bear in mind that social selling is totally fair game for musicians. Through creative promotions and sales, you can hawk your merch via social with no shame. When you follow a band or artist on social media, it’s because you want to see them in action, right? Well, your followers feel the same way. If you’re regularly touring or playing shows, shouting out attendees and posting pictures of your performances is a good start. Also remember that your fans can be a fantastic source of content themselves. Encouraging user-generated content in the form of tagged fan photos is a brilliant way to interact with fans and show them a bit of love, too. 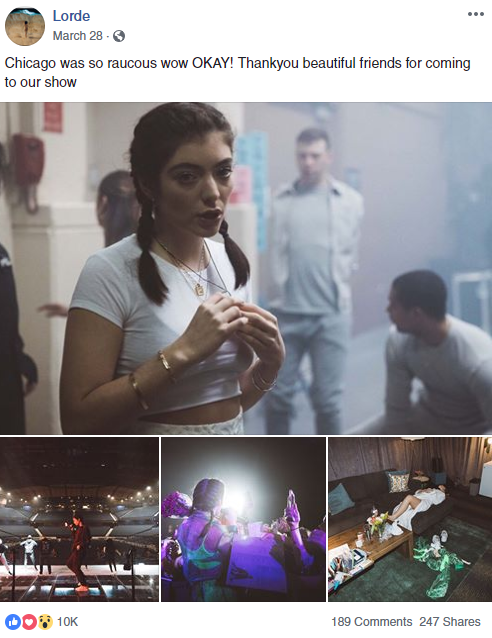 Reposting these photos is a subtle yet significant way to create a stronger connection with your audience and let them know you’re listening to them. Posting new content doesn’t have to be a massive production, either. If you have some time to kill, why not record a quick off-the-cuff social video to keep your feed fresh? On a related note, a huge piece of social media marketing for musicians is authenticity. Rather than just post promo after promo, it also pays to connect to your followers on a more personal level. A low-hanging way to do just that is to post content that takes your followers behind the scenes. Whether you’re traveling across the country or just sitting in the studio, don’t neglect the power of a candid snapshot. Such posts are windows into your world and are much more entertaining than 99% of what’s probably already in your followers’ feeds. They can even serve as some much-needed escapism for your fans. And if nothing else, behind-the-scenes photos also give you an opportunity to show off your personality. Again, you need to post with regular consistency to stay relevant to your fans and followers. Given that it only takes a few seconds to snag a snapshot to post to your Facebook or Instagram story, consider behind-the-scenes shot as a sort of “backup plan” if you don’t have anything else to publish. Now that you know how easy it is to stock up on content ideas so you never run out of things to post, you’ll also want to consider your social media posting schedule for getting all of that content in front of fans. You can use the Sprout Social Calendar to plan posts in advance. 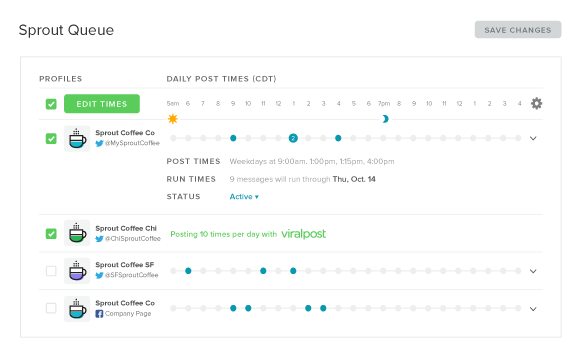 You can even let Sprout’s ViralPost choose the best posting times for you, so you get the most out of all of those photos and posts you’ve curated. Both features let you reduce the amount of time you need to spend each day just figuring out what to post and when to post it, so you can spend more time on everything else on your to-do list. It’s well-documented that tagging serves as a way to instantly increase the visibility of your posts on Facebook, Twitter or Instagram. Who knows: you could score a big-time follower or repost from an industry player through tactical tagging. Although tags might not seem like a big deal, anything you can do to get more eyes on your profiles is a point in your favor. This might seem like a no-brainer, but don’t overlook the importance of going back-and-forth with fans. Maybe they love your new song. Perhaps they have a question about your latest merch. Either way, responding and retweeting shows that you’re listening to them. While it might not be a big deal to you, shout-outs can make fans feel positively starstruck and encourage them to be even more loyal followers in the long-run. Carve out some time throughout the day to respond to fans, paying close attention to your notifications and mentions in the process. Obviously, it makes sense to prioritize questions that deal with shows or merchandise: try to get to those within a few hours if possible. Last but not least, let’s talk about YouTube. While you might not think of YouTube as a traditional social network, the platform’s insanely active community tells an entirely different story. As noted, YouTube is the number one place where people stream music versus Spotify, Pandora and a whole slew of other services combined. And no, it’s not even close. Since people are more familiar with YouTube versus music-specific sites like SoundCloud or Bandcamp, having your music present on the platform flat out makes sense. While YouTube streaming isn’t exactly a cash cow, simply being there is totally worth it. 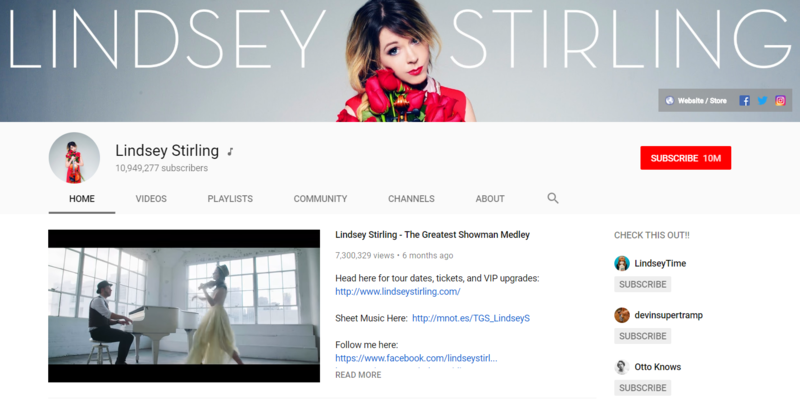 When it comes to social media for musicians, there are some specific YouTube optimization tips to consider. To start, make sure that your video descriptions are fully filled out including tags and links. Since YouTube gives you plenty of real estate in video descriptions, feel free to highlight as many promotions or social profiles as you see fit. Another way to look less “amateur hour” on YouTube is by optimizing your videos’ thumbnails. Some simple overlay text is a subtle yet significant way to make your videos stand out from the crowd via search. 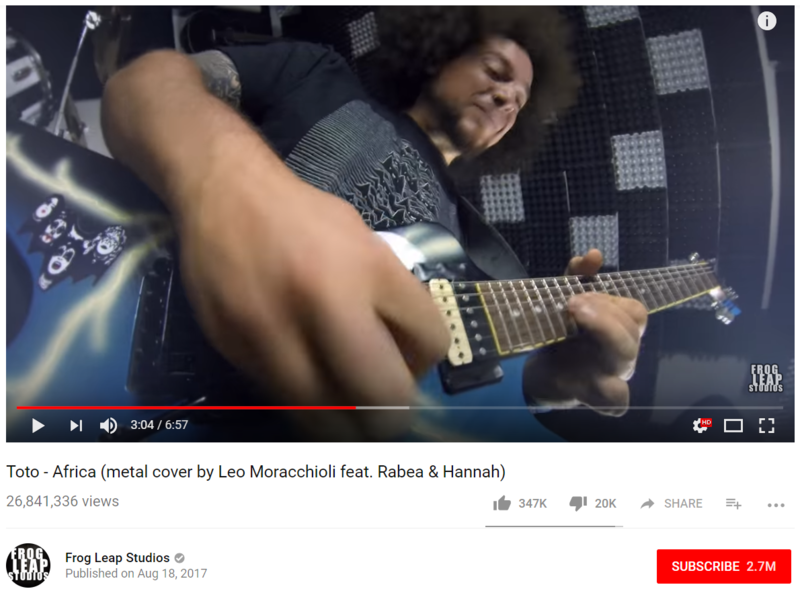 Finally, a brilliant move for gaining traction on YouTube as a musician is to publish cover songs. This is more of an artistic tip versus a purely social one but it deserves your attention regardless. The common thread between many of the biggest musical names on YouTube? That’s right. Covers. Lots of ’em. Especially if you’re an up-and-comer, covers a long-term way to expose yourself to an audience that’s unfamiliar with your work. 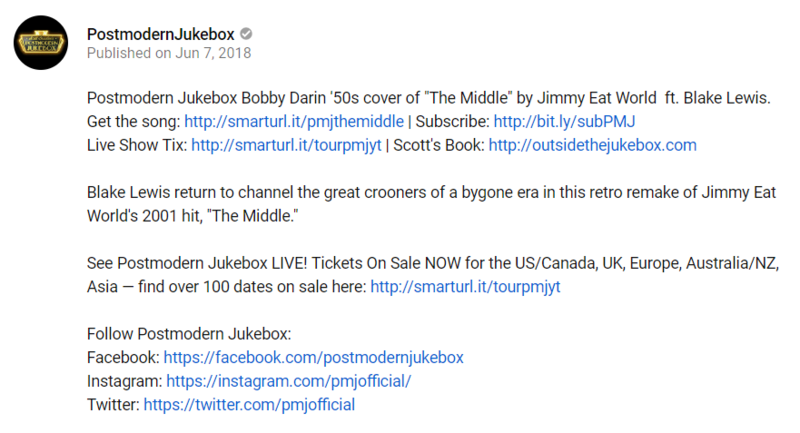 Case in point, this cover of the Cranberries’ “Zombie” amassed nearly 130 million views within the span of six months. Think as covers as a sort of gateway to your original music. While you are by no means compelled to post them, they’re a safe bet for growing your audience if you’re starting from zero. Any more questions on social media for musicians? We get it: musicians are busy. As a result, you need to squeeze the most you possibly can out of your schedule. By optimizing your profiles from the word “go” and always having fresh content in mind, managing your accounts becomes second nature. We still want to hear from you, though. What do you think is the biggest challenge of social media for musicians? Which platforms are your top priorities? Let us know in the comments below!